From 16 to Pooler Pkwy. North on Pooler Parkway to Pine Barren Rd. Left onto Pine Barren Rd, left onto Sumersby Blvd. 2nd right in traffic circle to stay on Somersby Blvd. Right onto Rolling Springs Ln. Property is at the end of cul-de-sac. Hello, I’m interested in 11 Rolling Springs Lane and would like to take a look around. 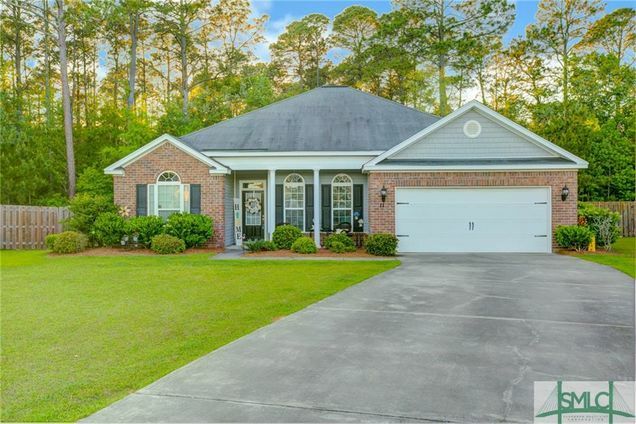 The details on 11 Rolling Springs Lane: This house located in Pooler, GA 31322 is currently for sale for $219,900. 11 Rolling Springs Lane is a 1,719 square foot house with 3 beds and 2 baths. This house is in the attendance area of West Chatham Elementary School, West Chatham Middle School, and New Hampstead High School. Listing Courtesy of: SMLC and Re/Max Accent.